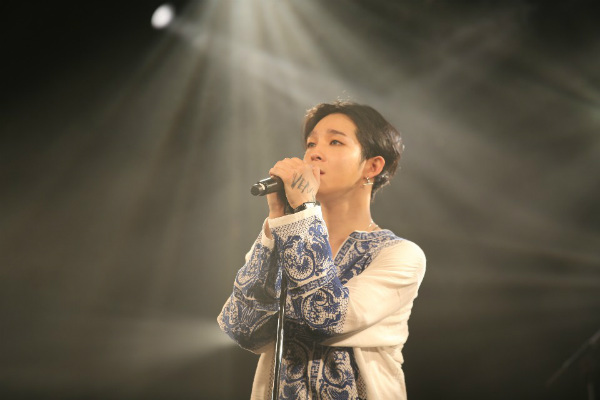 Singer Nam Tae hyun, a performance that mesmerized Japan after Korea. Singer Nam Tae hyun successfully wrapped up his performance "2019 SOUTH CLUB LIVE TOUR IN JAPAN - LIVE AGAIN -" held in Japan on March 30 and 31. Nam Tae hyun held two performances at Osaka, Japan, on 30, and held one in Tokyo the following day. For about 90 minutes, he perfomed a total of 22 songs, including "See you," "I.D.S," "I Got The Blues – Satisaction," "Dirty House" and "Hug Me," to be perfectly digested and colorful. Nam Tae hyun's sensual performance and stage manners were added to the concert, drawing enthusiastic response from fans who visited the concert hall. Especially, fans from both South Korea and Japan joined forces to prepare slogan events and cake events onl 30, the second anniversary of Nam Tae hyun's founding of his company, "The South." In commemoration of the company's establishment, the Osaka concert held a surprise event with the slogan "I love you who grew up like now," while the Tokyo concert moved Nam Tae hyun by holding a surprise event with the slogan "Our South Club Love." Nam Tae hyun recently appeared on KBS 2TV's "Lyrics" imprinting his presence as a musician to the public with his frank talk and emotional uniqueness vocals, and has been active in and out of concerts and broadcasting.